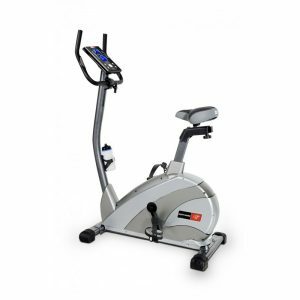 This Precor 846i Upright Bike has been cleaned and serviced and is is very good condition. 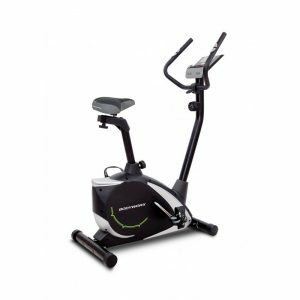 The Precor 846i Upright Bike Experience Series has a double-step-up drive and magnetic, no-contact generator system. 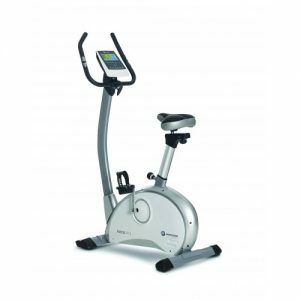 The Precor 846i Upright bike cycle moves smoothly and quietly, with less maintenance. 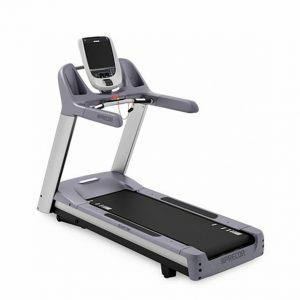 Belt Drive System: A double step-up drive gives users a smooth, quiet exercise experience. A Poly-V belt is used instead of a chain which a quiet ride every time. 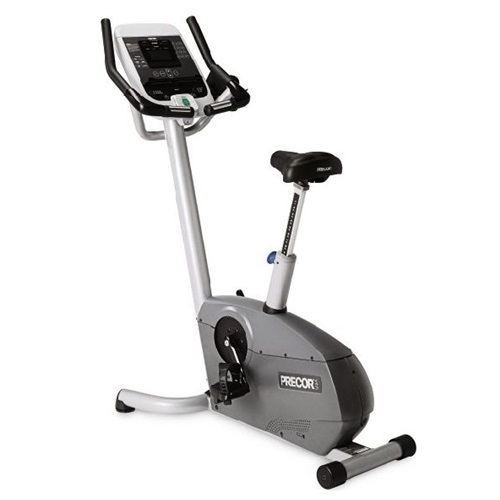 The Precor 846i Upright bike exercises all leg muscles. Users can also stand on the pedals like climbing a hill on a traditional bike. Tactile paddles control resistance, confirming user input with a satisfying click. The multiple feedback options make it easy to monitor workouts. Additionally, the seats are designed for comfort across a wide range of body types. The upright seat has a ratcheting system for easy adjustments.